What good is an operating system if the end user is unable to use it? Not very useful really. A large of part of being able to use your operating system is having the right application for whatever task you are trying to accomplish. 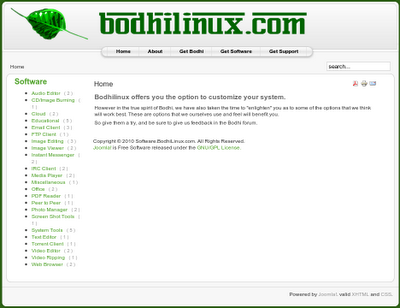 I have had a number of users ask me since I released Bodhi Linux if I plan to make the operating system more "user friendly" for those who do not know their way around Synaptic and/or apt-get. I was a little bit torn as to what exactly I wanted to do. 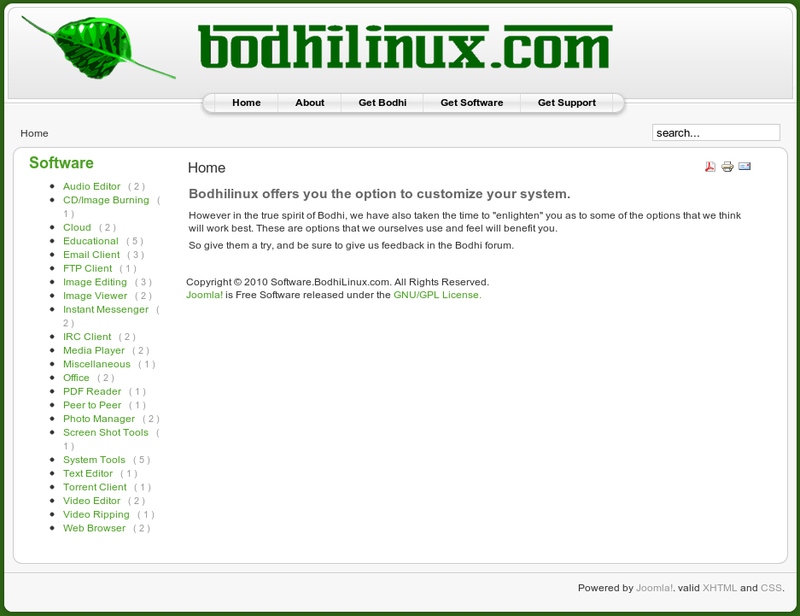 I like Bodhi being minimalistic, so including everything and the kitchen sink in an attempt to increase user friendliness was not an option. I also kicked around the idea of simply including the Ubuntu Software Center, but I don't care for the way it sorts the software (or lack of sorting). Most users I think get lost in all the software it lists, some of which doesn't exactly exemplify the best FOSS has to offer. I wanted something that was easy to sort through and at the same time would be familiar to most users. Our software page will allow users to either choose by application function or search for what they are looking for (based on application name or functionality). Once a user has found the application they are looking, they can begin installing the program with a single click or download a pre-packaged installer (handy for taking to systems without an internet connection). The website uses apturl for the one click install (modeled after how GetDeb works) and the download-able installers are a combination of shell script and a package archive. The Joomla! template is still a little bit rough, but it is functional and that is the most important part. There are currently only a handful of applications listed, but more will be added in the coming weeks until we have the perfect Linux application listed for every task you can think of. See here for a full list of applications we currently plan to list. Have any questions, want to suggest an application I should add to the page, or if you have any trouble installing things, feel free to drop a comment here or make a post on the Bodhi Forums. be sure to keep that site up to date. joomla is notorious for security holes and is one of the most vulnerable CMS applications in use today. Interesting solution! Cool to see you striking your own path for Bodhi. Good choices of applications too, looks like you chose 2 or 3 best ones in each category. Is Skype in there? Or did I miss it? I really liked it and I have been dual booting into! Hope to hear back!